Issue 61, Feb - Apr 2019. On Sale Feb 7th 2019. 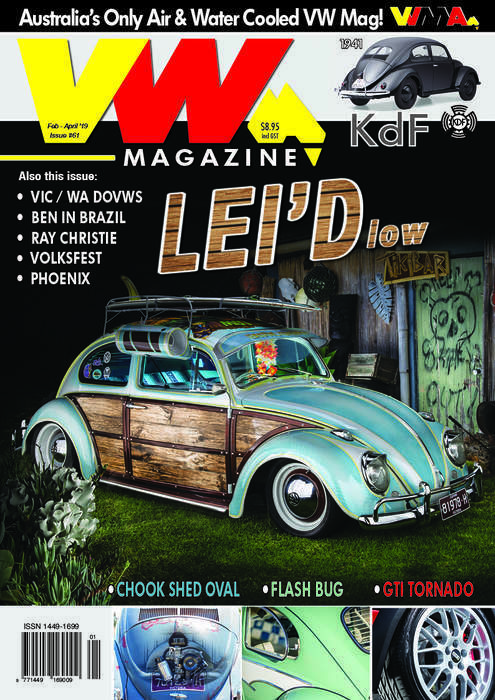 VWMA is an Australian owned and published enthusiasts magazine serving both the aircooled and watercooled Volkswagen scene nationally. 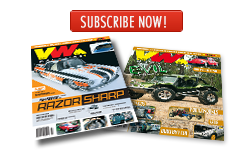 Published quarterly (Feb, May, Aug, Nov), the magazine is available through newsagents Australia wide or via subscription, and covers every aspect of the hobby, from the very early models through to the latest innovations, motorsport, offroad, kit, custom, books, toys and shows. If it doesn't appear in VWMA then it isn't VW related. Now in its seventh year, VWMA also hosts two drag racing weekends, sponsors a variety of VW shows, and supports events across the country. Printed and distributed by Australian companies, VWMA is also fortunate to have access to a talented pool of home based VW photojournalists and print/web technicians, who work with VWMA to produce quality VW entertainment each issue. And in 2011, the magazine's website has evolved to encompass the online and portable information revolution with the inclusion of additional media content to enrich the printed reading experience. Don't miss another issue and subscribe to have VW Magazine Australia delivered to your door.